So excited to have you. Marc’s our design and branding specialist here at CityGro. And that’s what we’re talking about today is branding also at the brand. So what do you think? Should we just dive right in? Okay. Well, so let’s start here. Why don’t you give us, branding can be kind of a broad term. People might think of what is a brand differently. Let’s define a brand, how we’re going to talk about it today. What is a brand? Sure. Now a lot of people when you talk about branding, they instantly think, well you’re just talking about your logo up, but it’s really so much more than that. Um, you know, uh, looking online you can find a lot of different definitions for it, for a brand. And, you know, Kinda the dry definition is, you know, it’s a symbol that differentiates you from your competition, but the one I liked the most is that your brand is your promise, a promise to yourself, it’s a promise to your customers that you’re going to set standards that you’re going to have, um, uh, you know, aspects to the personality of your business that are going to carry across all things. And that’s how it really ties into retention marketing. So I liked that it’s a promise because brands actually come with, or I guess they build it a connotation with them that, that, uh, that stands for something. And so I think you’re writing or you’re really just kind of a promise. So, so why have a brand or white, you’re white, you put effort into creative brand. yeah, don’t ruin this for me. I haven’t seen it yet. Well, the founder of Mcdonald’s corporation, Ray Kroc meets these two brothers in southern California, the Mcdonald’s, and they have this, a burger chain and what’s not even really a chain yet. It’s just a couple of stores, but they have their process down and there’s this emotional feeling and it was unlike anything we’d ever seen before and he wanted a piece of it. Well, long story short, at one point he goes to basically buy the McDonald’s name out from the brothers and they say, well, why? Why do you need our name? Couldn’t you just go anywhere and use any other name with what you know about running a burger business? And he said, it’s because this is what people expect from a family oriented burger joint. So it was about the value of the name. It was brand new they built. Exactly. Exactly. Yeah, and I’m glad you brought that up. It was going to ask you if you have any good examples of brands that come to mind. That’s great. and they’re all over the place. When you think about any for our family, at least the way I see Mcdonald’s has become a fast, efficient way to get food, right? If there’s some places that when I think now I’m in a rush, I need food. Putting down what comes to mind? If don’t a good job branding that little tons of examples, we’ll probably get into a few more. So let’s talk about different elements of a brand. Let’s say everyone’s onboard now with we want to build our brand. What elements are we looking? So really there’s four main elements to a brand, um, your identity, uh, the visual aspects of your brand, the written for voice of your brand, and then finally the interaction. Okay? And that one and the interaction really is, is something people are overlooked quite a bit. Um, so, so breaking it down your brand definition or your brand identity is how you set yourself apart. And really we’re talking about your brand strategy at this point. So before you even start thinking about logo, you should be thinking about what’s the personality aspects of my brand. Um, and, and that’s usually good to start out with the company mission statement. Um, you know, several people are just, you know, they started the business, they like what they do, but they haven’t sat down and define what are our core values. Um, and so that company mission statement really helps identify that, set the stage. Then the next thing you’re going to want to do is you’re going to want to create a benefit statement. Why should someone come to us over our competitors? What do we bring to the table that is unique? Um, and then thirdly, you want to kind of set what is the current perception of your company. So, um, you know, there’s several ways to do that. You can pull some of your current customers and create some focus groups. You could even map out as someone visits your website or if someone visits your, your, your brick and mortar, what the customer journey is from the minute they walk in the door. What is their perception, what do they see, what don’t they see ’em? And then finally something you can do as a little bit of roleplay. So if you don’t really have the insight into, you know, uh, what your customers are are thinking, maybe imagine if I was a customer walking in and do a couple of different personas, you know, made me say, you know, one’s the soccer mom or you know, one is, is the middle aged guy or you know, once the teenager coming in and, and with those personas, what is their impression of your company and that will help you kind of define some of the other aspects. So in getting started in envisioning this, you were not only concerned with, I guess we’re concerned with who we want come in the door, but actually who is coming through the door as well because sometimes that’s different who we’re targeting or who we want versus you look at it and you say, well, we’re actually capturing a whole different crowd than we thought we were. So you’ve got to look at different personas based on, on, uh, are they coming in, are they really coming in? Where are they coming from? Absolutely. I mean, your, your brand could be the difference from a how you send your marketing out to middle aged people had, but then when you look at who’s actually coming in the door, you’re getting a lot of the high school crowd. Yeah. Who are you related? Identifying what? Absolutely. Cool. Okay. 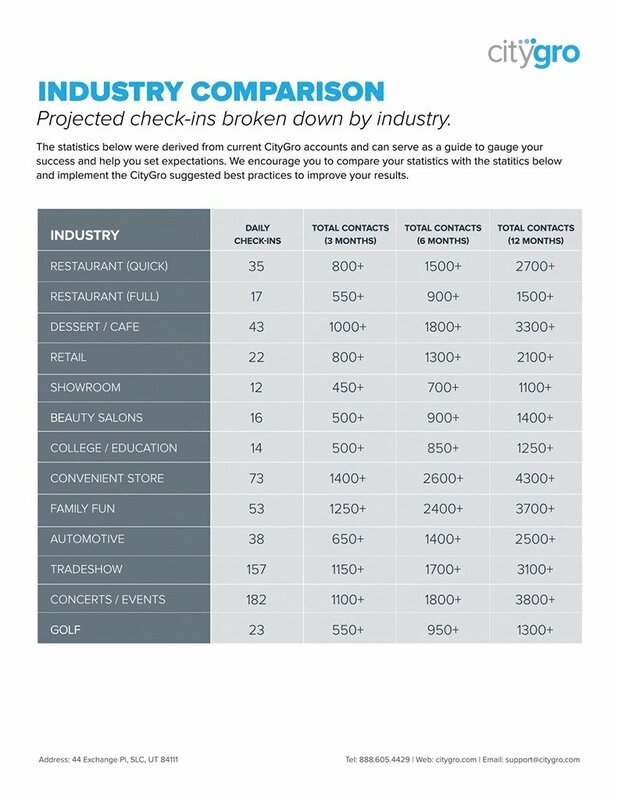 So, so let’s talk about importance of brand with, with regards to like brand awareness and, and even in our bread and butter here at CityGro, which is retention and retention. marketing. How does, how does brands coming into that realm of things? Um, so, so really brand awareness comes back around to top of mind awareness. Ultimately the goal with retention marketing is you want people to come back to your store and so if they’re at the top of your, of your, at the top of their mind, excuse me, um, when they want to, you know, have a need for your service, you’re going to be the first name. They think they’re going to want to come back, especially if that brand has helped solidify that, that positive experience. Yeah. So let me, let me, let me put that in another way. And see if I can regurgitate what you just said. So we, as humans we think about needs all the time. We don’t necessarily think CityGro or brands. So the better I can associate CityGro with a need, like what we really push is tying CityGro together with bringing customers back and retention marketing. And so while people might not be thinking city CityGro, they might think, man, I really wish more customers would come back more often. And if we can, to tie that brand with that lead, that’s an element of brand. Ultimately we’re all creatures of habit. And if you have a good experience with something, you’re going to remember that if you have a bad experience with something, you’re going to remember that. Um, and so, like I said earlier, one of the aspects of branding that doesn’t get talked about very much is interaction. So yes, you have, you know, your logo. Yes, you have the voice, the tone that you’re advertising takes or, you know, posters or things that are printed and put up inside your, your business. But interaction is just as much as part of your brand as anything else, uh, how you answer the phone, how you greet customers when they walk in the door and how you respond to comments on social media. Yeah. It all ties in. It all ties to do your brand. Well. So, so I’d like you actually have a lot of great examples here. Mcdonald’s that we talked about, which had kind of associates with that a quick and easy and I’m sure there’s plenty of other associations with that one. Tell me some of your favorites from the listed you. Sure. Absolutely. So first of all, apple, apple is of course the 800 pound gorilla that everyone thinks that when they think about branding back in the eighties, you know, they had the rainbow striped apple and they were just kind of the, the personal computer flash in the pan competitor of IBM. But, uh, you know, late eighties, nineties comes around, they rebranded, they go to the solid gray or white apple, Steve Jobs steps back into the role and now people are fierce, uh, proponents of Apple. We’ve got a few of those here in. Oh yeah, yeah. I mean, when you’re talking about, you know, on a technology level, it may not necessarily be as strong or stronger than, than a competitor, but people love apple so much. They will get fierce about it. Oh yeah. Oh yeah. The way. I mean, it goes both ways, doesn’t it? Yeah. Nike, I saw you have down here, that’s a great one. A facebook, Coke and Pepsi. I, when I think of branding I, and it’s probably because I’ve done some studies on this route through schooling. Uh, drinks always come to mind as there. There’s certain people, there’s Pepsi people. Uh, there’s Mt. Dew people. I mean there’s just seems to be identify with kind of how they live life more so sometimes than what their taste buds like. Well, and then two of them I put on this list for a specific reason. Facebook and Wells Fargo, they’re in the news recently, obviously with a little bit of a Snafu and in regards to their public image and your brand can take damage. Um, and so how you handle that, how you recover from, from an injury to your brand is very important. Well, on that note, let’s talk a little bit about rebranding and then after that we’ll go into some final thoughts. I think we’re running short on time, so, so yeah. What are your thoughts on rebranding? So when think about rebranding your company, you want to be careful about it. Um, obviously, you know, you don’t want to just throw everything to the wind and, and rebrand just to rebrand. There always needs to be a strategy in place on why you do it. It may just be that your current brand needs a few tweaks, a, however, don’t be afraid to rebrand if you need to. So again, you know, if you have questions, do your research, make sure that the step that you’re taking is as important to validate why you’re doing it. Awesome. Uh, so final thoughts on branding a thing, give us. Sure. Absolutely. Um, so first of all, the return on investment on a brand. Um, so I’ve worked with a, a throughout my career, um, several different companies, one of which comes to mind or I’ve worked with several dentists and um, they were always concerned about why should I, why should I brand, why should I create a logo, why should I create an identity? Well, the time comes when you want to retire, you want to sell your business. And the difference between having a strong brand and having a weak brand can be the difference in tens to hundreds of thousands of dollars when you’re looking at selling your company and more in addition over the life of just you’re running your company, having a strong brand can, can really bring more business in and you can have higher prices and things of that nature. Um, and so that’s, that’s really going to help improve the customer experience that you haven’t improved your retention at that level. So ROI is a big thing, I don’t over complicate it. So the simplest logos are often the best. Simplest brands are often the best. Drink your own koolaid. This is important if you believe in your product, if your energy and your enthusiasm behind your product or service a comes through, it’s infectious, uh, and that can come through in your brand as well. Um, and then stay consistent. Um, there, there may be a tendency in your Marketing to change colors or change fonts. Try to stay consistent throughout and you can, you know, go through cycles like, you know, this is our 2018 branding guide, this is our 2019 branding guide and so there’s gonna be some slight differences, but try to stay consistent. It’s really hard to build a brand without consistency in the long run. Awesome, Marc. I really appreciate you being here. It’s been fun day. Do you have to have you on more often? You’re behind the scene too often on, on that side of the camera and we like on this side of the camera. So until next week we look forward to seeing you guys again. Thanks for being with us.